Today I drove my friend to the airport where she was boarding a plane headed for Disneyland. Our conversation about Walt Disney and his brother Roy O. Disney, young visionaries in early animated film production, spurred me to get busy on my planned blog about Walt Disney. I want to talk about why his contributions to society mean so much to all of us. Walt Disney was a rare man in history, who focused on his family and friends, all the while creating characters and stories to entertain and bring harmony to the world. He was truly a man of harmony. 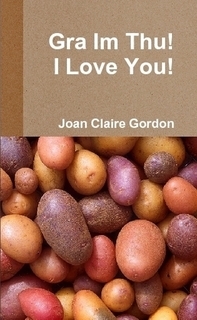 Still today, his creations stimulate harmonious relationships in families. Further, he was a man of the future: he designed a prototype community of tomorrow for improved urban living. Roy O. and Walt Disney on the day they opened Disney Studios, October 16, 1923. In this rare historical photo, the ladies are not identified. 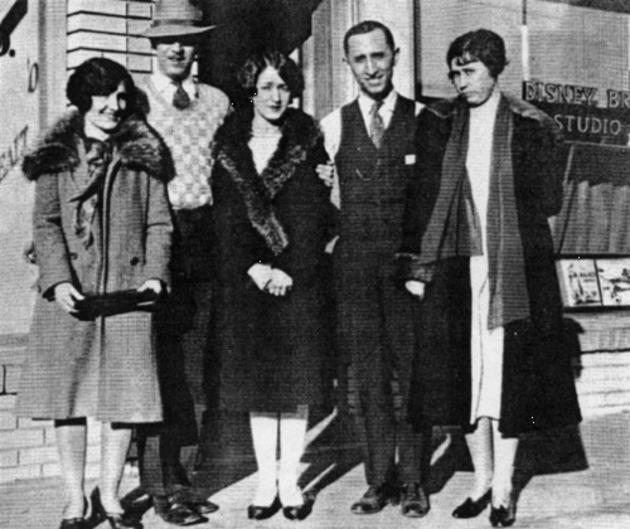 In 1923, Walt and Roy opened the Disney Brothers Cartoon Studio in the rear of a small Los Angeles realty company office. They soon moved to larger quarters and renamed their company: Disney Studios. By 1928, Mickey Mouse had been born, followed by a host of famous, lovable characters known to us all. A mere eleven years later, the brothers released their first feature film, Snow White and the Seven Dwarfs. Their company flourished. When World War II began, Walt and Roy focused their entire efforts on aiding American involvement in the war. Donald Duck became very busy as the star of films to educate both the American public and military personnel. After the war ended, Disney returned to producing family films. By 1950, Walt was deep into plans for his long-held dream to build Disneyland, although Roy was not so sure the project was realistic. Walt forged ahead, finding land, drawing plans, and seeking investors. Construction began on July 16, 1954. Do you get the idea that Walt followed his dreams? Keep in mind that he did so without impugning anyone’s reluctance to join him, and there were many detractors along the way. Would you say he was an advocate for harmonious relationships? Of course, we don’t know what he was like behind the scenes, but we do read that he was turned down by major television corporations, and laughed at by leaders who viewed his dream for a family entertainment park as “grandiose.” He kept developing his vision and working with Bruce W. McNeil of McNeil Construction. 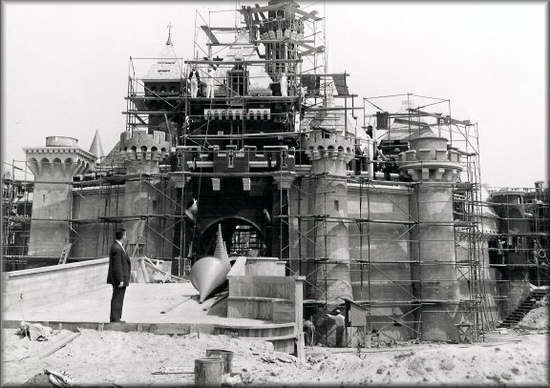 The entire project team, assembled by Walt, brought Disneyland to fruition on July 17, 1955. The famous Disney characters greeted guests, and the party was launched. If you closely examine the photo on the right, how many of the characters can you identify? 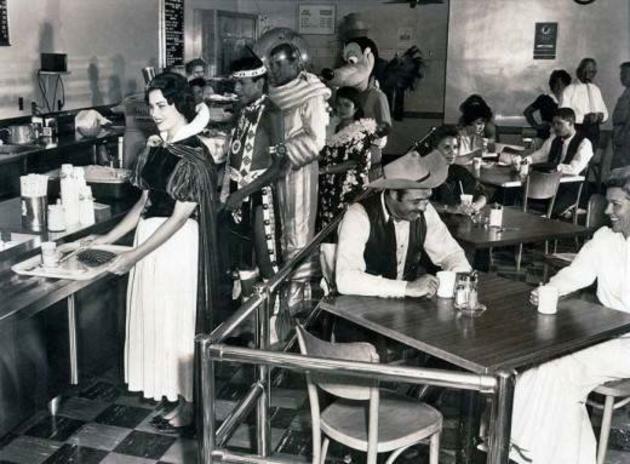 Is that Snow White in front picking up lunch in the Disneyland employee cafeteria? And who is behind her? That guy at the end of the line will have to take off his head before he can eat! 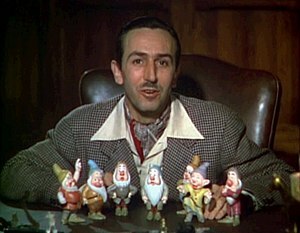 Near the end of his life, Walt Disney had another burning idea which he felt required action. Sometime in the 1960s, he began to think about the future life his many grandchildren would have … living in crowded, crime-ridden, modern cities. He studied urban planning books and talked with leaders in urban development. Purchasing 27,400 acres of Florida swamp land, he began to lay plans for another Disney park, but one which provided more than entertainment. In fact, the entertainment section of the park would be in the far north corner of the property, and the community of the future would occupy the major front portion. He wanted to build a clean, efficient, safe community where 20,000 people could rent homes and live in peace and harmony on the property. Each adult renter would have a job in the community. Did Walt Disney fail because the EPCOT he designed did not materialize? No! What he did was inspire others to pursue their own dream, but on a different scale and in a different way. Walt Disney’s legacy is that he used his talents … his whole being … to bring harmony into his own life and into the lives of those around him. Take a look at the crowd surrounding Walt Disney. You and I are there.